Thomas Brady, 18, coal miner, single, Station Row, Whiterigg (body not recovered). Robert Campbell, 30 coal miner, married, Low Meadow Head (body not recovered). William Campbell, 48, coal miner, married, Ford Bridge Cottage, Barblues (body not recovered). Alexander Gilchrist, 30, coal miner, single, Wattstown (body not recovered). Alexander Park, 55, coal miner, single, Park Place, Greengairs (body not recovered). Robert Pollock, 49, coal miner (Army Pensioner), married, Drumbreck, Eastfield (body not recovered). John Sneddon, 31, coal miner, married, McCrackens Place, Greengairs (body not recovered). William Douglas Williamson, 27, coal miner, married, Arthur's Land, Plains (body not recovered). Click here to view extracts from the Inspector of Mines report. 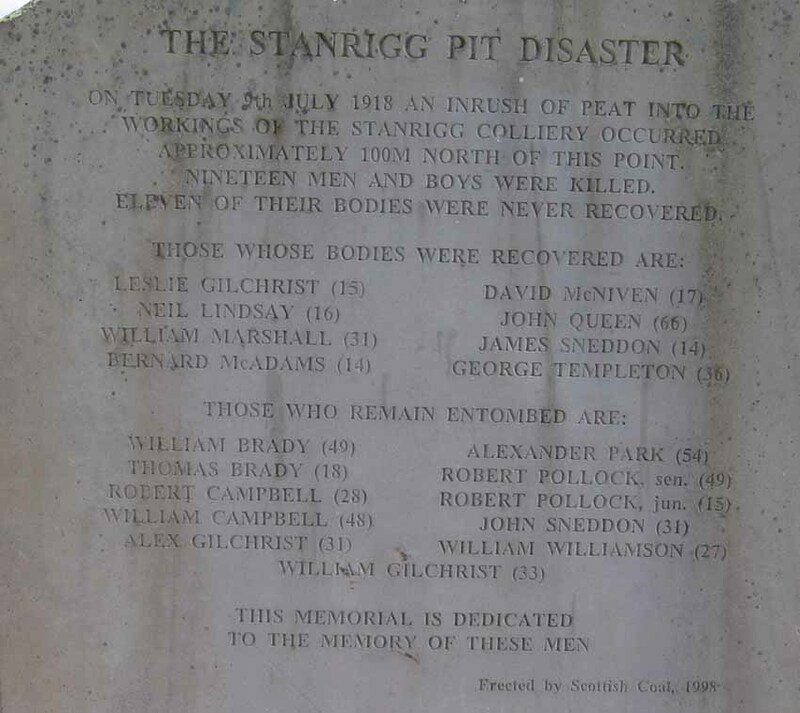 The 19 miners who failed to escape from the pit at Stanrigg Colliery, in which there was a heavy subsidence on Tuesday, still remain entombed in the mine. The borings which were made yesterday with a view to establishing communication with the men revealed that there is water and black damp in the vicinity of the coal face at which the squad were engaged. The hopes which were at first entertained that the men might be extricated alive have therefore diminished. Great difficulty is experienced in the cutting and boring operations which are carried on with the object of reaching the isolated section of the pit, and the rescue workers are not very sanguine of an early completion of their task. From the slow progress made up till last night the possibility has to be recognised that it may take several days to clear a way to the damaged portion of the mine. 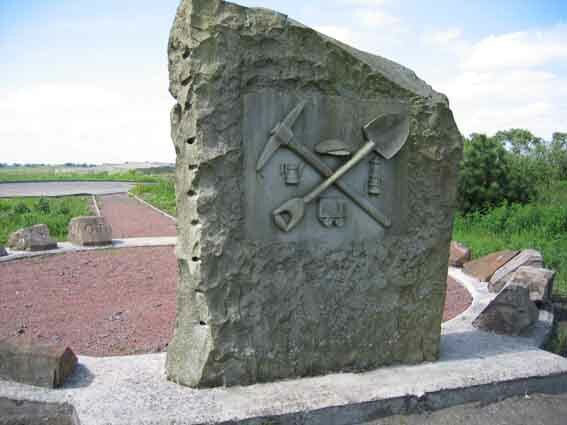 Stanrigg Colliery, which is owned by Messrs M'Cracken Bros., is situated on moorland about three miles from Airdrie. 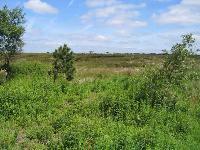 The mossy surface, saturated by the recent heavy rainfall, is soft and bog-like at the part where the subsidence occurred. The ground has sunk perceptibly over an area about an acre in extent, and is broken by numerous fissures. The section of the pit affected is at the eastern extremity of the colliery. The workings at this point are on a higher level than any of the other seams, the distance below the surface being about 11 fathoms. The men who were at work on an adjacent but lower seam succeeded in making their escape, but every one of the miners in the hump section, as it is called, was evidently trapped by the fall of moss. The squad at full strength would have numbered 22, but three of the men were absent. One of the miners who escaped stated that he had passed near the hump section about 10 minutes before the accident happened. As he was going back again towards it he met a draw-man running toward the shaft, shouting "The moss, the moss." He saw the moss streaming down into the roadway, and ran for the pit shaft commonly used by the men. Seven of the miners got up by that shaft. The others had to make their escape by the outlet or emergency shaft farther west. Over 70 men were in the pit at the time of the accident, which took place about half past ten in the forenoon. If the men in the hump section were not overwhelmed by the subsidence they were completely cut off by it from exit by either of the shafts, the mass of soil blocking up the only roadway they could use. On Tuesday forenoon about 10.30 the bleak moor to the east of Whiterigg and above Plains and Caldercruix was the scene of the most dreadful accident in mining history in this district, both in the number of men who lost their lives and in the awfulness of their death. Stanrigg or Arbuckle Colliery, belonging to Messrs McCracken Bros, is worked underneath the moss, and it was in the higher level, the humph section, where the disaster took place. The moss subsided into the roads between the pit bottom and the face of this section about 11 fathoms down, where nineteen men and boys were at work, cutting off the retreat of any who might have escaped the fall. The moss and water made its way through the break into the workings and was seen by one of the men working in one of the other sections. He ran back shouting “The moss, the moss,” and the warning soon spread, so that all the men except those cut off in the humph section managed to escape. There were over 50 of these, seven of them managing to reach the eastern shaft in time. The others made for the emergency shaft, and were taken to the surface by it. One of those who escaped, a young drawer, John McCabe, belonging to Longriggend, ran back and gave warning to some of the men, thus probably saving their lives. A rescue party was at once organised and volunteers, of whom there were hundreds, though only a few were required, went down and work was soon started to drive a road through an old working towards where it was conjectured the imprisoned men would be. It was thought they would have gone up towards the highest part f the face, about 10 fathoms below the surface, and a shaft was started with the primitive apparatus at hand to try and reach them by this means. This however had to be abandoned on Tuesday night, and a new one commenced further to the south. Iron cylinders had by this time been secured and by this means better progress was made, though it was a most dangerous and difficult task, and the water gathered almost as quickly as it was bailed out. Another difficulty was the moss moving toward the centre of the “sit” and gradually the tanks went more and more off the plumb till they were leaning at a decided angle. Meantime several bores had been started in the hope of reaching the entombed men, but gradually these had to be abandoned, and interest centred on the fifth which gave more hope. Good progress was made with this and by dinner time on Wednesday anxiety was at fever heat from the knowledge that it was almost through. Alas for all hopes of communication, the bore pierced the road in the afternoon, and it was found that the water had risen to a considerable height at this part, and it was estimated that there must be about 6 feet at the face. Not only so, but there was evidence of the presence of deadly black damp and the experienced could only shake their head and prophesy the worst. Meantime the shaft had been sunk to a considerable depth, but the settling moss made it more and more difficult, and about 4 o'clock on Wednesday it had reluctantly to be abandoned. By this time a sense of gloom spread itself over the large body of workers and lookers-on, for it was felt that all hope was gone. Another bore was started at the abandoned shaft, but work on this had to be stopped owing to the gathering moss. The bore which was through showed that the moss and water were still rising in the workings, and by midday Thursday it was estimated there must be over 9 feet of water at the highest part of the pit. The driving of the mine had been proceeding with difficulty, and the rising water gave cause for anxiety for the safety of the men engaged there. The progress of the spreading moss became so great on Thursday forenoon that t was deemed necessary to stop the work underneath, and the men were withdrawn from here also. Really as a forlorn hope a new bore was started on Thursday forenoon. The men at this bore, as at the others, worked at high pressure, and by 6 o'clock on Thursday night the workings had been pierced, and, as was expected by those in authority, the water was nearly nine feet high at this part. The worst fears were therefore confirmed that it was impossible that any of the men could be alive. All operations were then suspended, and Mr Walker H.M.I.M had a consultation with those who had been overseeing the work, as to the advisibility of taking means to recover the bodies, a matter on which there was considerable diversity of opinion. Ultimately, Mr Walker decided that this work was to be carried out, and Mr Paul McKenna, miner agent, after intimating the sad news regarding the fate of the entombed men to the anxious crowds thronging the pithead, said that, as soon as possible, a shaft would be sunk on scientific lines, and every effort made to recover the bodies. He then advised them all to proceed home, as there was no good to be done by their waiting any longer. 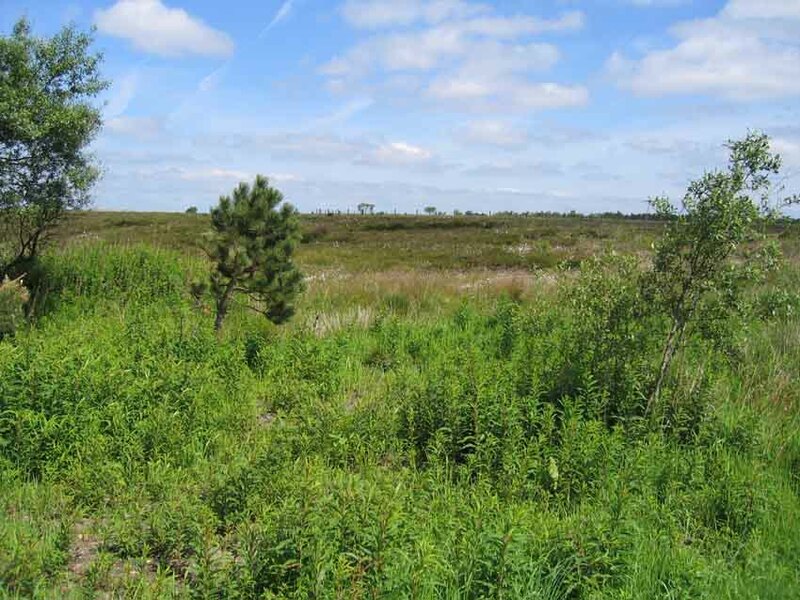 The moor above the subsidence presents an extraordinary appearance, fully six acres being affected, and the subsidence is still continuing. Large branches of trees have been placed where the “sit” has taken place, in the hope that they will help to solidify the mass, and stop the flow of moss into the pit. All around the hollow caused by the sinking are great fissures which have filled with water, and the whole moss is most unstable, moving with the least pressure. The extent affected is considerably larger than that at the great Donibristle disaster in Fife, which was of a somewhat similar nature. 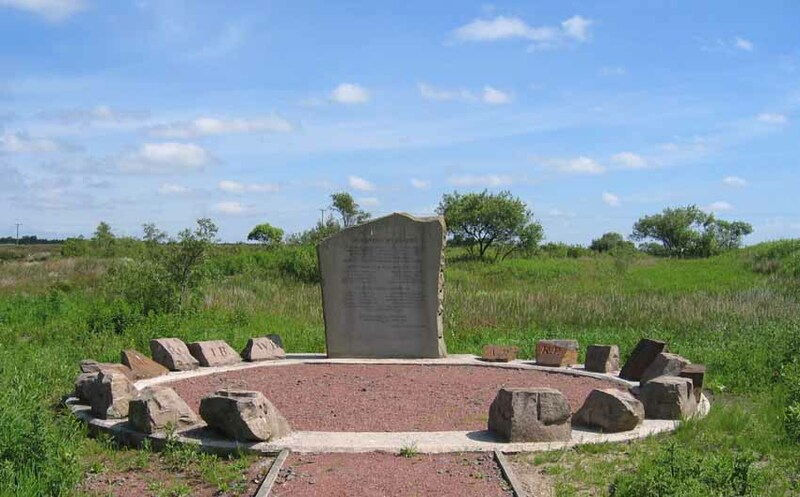 The operations were superintended by Mr Walker, Chief Inspector of Mines for Scotland, and his assistants, and among others assisting were Mr Wm Black, Ballochney Colliery; Mr Johnstone, manager of Arbuckle Pit; Mr Russell, Stepends; and Mr M'Anah, Barblues. Mr George Welsh, superintendent of the Coatbridge Departmet of the Rescue Brigade, and his men were at practice when the word came, and were speedily on the scene, along with several of the officials and Mr Archibald McCracken. They made valiant attempts to reach the men, but their progress was stopped at all points by the inflow of the moss. William Marshall, 33, McCracken's Buildings, Greengairs, leaves a widow and four of a family. 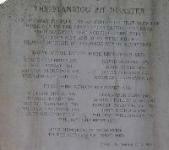 James Sneddon, 14, Russell's Row, Greengairs, was the son of Robert Sneddon who is in France. He was the eldest son of the family and the only one working. He had been at work for two days. Bernard McAdam, 14, Greengairs, was the son of Thomas McAdam, miner. He was one of five sons. Leslie Gilchrist, 15, Wattstown; Alexr. Gilchrist, 30, Wattstown; William Gilchrist, 32, Wattstown – three unmarried brothers who lived with their father at Wattstown, who is between 60 and 70. William Campbell, 38, Brown's Buildings, Plains, who leaves a widow but no family. George Templeton, 36, Meadowhead, leaves a widow and four of a family. Robert Campbell, 32, Meadowhead, who leaves a widow and two of a family. William Williamson, 27, Plains, leaves a widow and one child. Robert Pollock, sen., 43, Caldercruix. Robert Pollock, jun., 17, Caldercruix, son of the above. John Queen, 60, Darngavil, was a widower. Wm. Bradie, 47, Whiterigg, leaves a widow and seven of a family, one of his sons being also lost. Thomas Bradie, 18, Whiterigg, son of the above. Sympathy of the Federation - At the annual conference of the Miners Federation of Great Britain at Southport on Thursday, the President, Mr Robert Smillie, moved a resolution expressing profound regret at the Airdrie Colliery accident, and deep sympathy with the relatives of the entombed workers. In Submitting the motion he said that almost invariably while their conference was in session they received news of some mining disaster, and there had been a most serious disaster in Staffordshire since their last annual gathering. All the delegates stood while passing the resolution, which was at once despatched to Lanarkshire. A religious service last evening at the scene of the disaster at Stanrigg pit, Airdrie, was taken part in by the Reverend Messrs Russell, Greengairs; Duncan, Clarkston; Jack, Caldercruix; and Edmondston, Coatdyke. About 6000 men and women attended. Several of the relatives of the entombed men were present in deep mourning. A collection was taken on behalf of the dependants of the men. Stanrigg Colliery Disaster – Search For the Bodies – Access to the workings of the humph seam of the Arbuckle Pit, Stanrigg Colliery, having been obtained by the new shaft sunk in the moss between the subsidence and the main winding shaft, the management began the search for the bodies of the nineteen entombed men on Sunday last. As the new shaft revealed, the roads in the seam were very badly filled with watery moss from the subsidence, and it was obvious that every precaution to ensure safety had to be adopted before the search operations could go on. Accordingly, the source of the inundation, namely the hole where the moss had subsided, was first dammed up with a barricade sufficiently strong to prevent it breaking away and causing a further inundation, which might have proved dangerous to the searchers. This accomplished, those brave fellows have been working hard to clear the upper reaches of the humph seam of the accumulated moss and water. Marshall's Body Found – On Tuesday night their labours were rewarded with the discovery of the body of William Marshall, 31, a miner, who resided at McCracken's Place, Greengairs. The bottom of the new shaft happened to be in the neighbourhood of Marshall's working place, and the searchers had cleared it of the moss, and, while finding some of the man's belongings, saw no trace of the man himself. They were proceeding to clear the road further on towards the next working place when – about 10pm on Tuesday night – Marshall's brother, Thomas, who had slept in and didn't get to work on the day of the disaster, while looking about the place that had been cleared, suddenly noticed that a sort of manhole or crevice in the wall had also been filled with the inundating moss, and that the heels of a pair of boots were showing in the wall. At once the hole in the wall was tackled, and when the moss was cleared away William Marshall's body was found about 20 feet from the bottom of the new shaft. He had crawled into the hole on hands and knees, which explains the position in which the soles of his boots were exposed, and had been overwhelmed and drowned by the flood of mossy water. The body was taken to the surface and laid in a temporary mortuary, prepared over a month ago at the pithead. It was in a wonderfully fresh condition, easily recognisable, and was speedily placed in a coffin by Mr Alex. Dempster, undertaker, Chapel Street, Airdrie. On Wednesday, the body was conveyed to the residence of the deceased at Greengairs, where, without being taken into the house, the funeral cortege was formed. A service was held in the house by the Rev Kennedy Adams, United Free Church. The funeral was attended by about 140 miners and others in the district, among whom the deceased was held in high esteem, and it wended its way, after 5 o'clock, to New Monkland Cemetery, where the committal service was conducted by Rev. James Russell, Greengairs Parish Church. To John McCabe, a drawer at the Stanrigg Colliery, Airdrie age 17. On the 9th July, 1918, there was an in-rush of moss into the workings. McCabe, with 2 other drawers and 3 miners was at the bottom of No3 shaft when they were told that the moss had broken in. The other 2 boys and the 3 men at once ascended the shaft and escaped. McCabe, however, knowing that there were men at the face who might be cut off, returned for a quarter of a mile and warned the men. He and the men he had warned were ultimately collected and raised by another shaft. When he returned to the face, McCabe did not know where the break had occurred, or whether the moss might not at any moment fill the workings through which he returned, as in fact it soon afterwards did. He faced a grave and unknown danger, which might have been fatal, in order to enable others to escape.